Today we are featuring a cafe racer build by Reier Motors from Austria. This cafe racer is based on Yamaha XS 400. 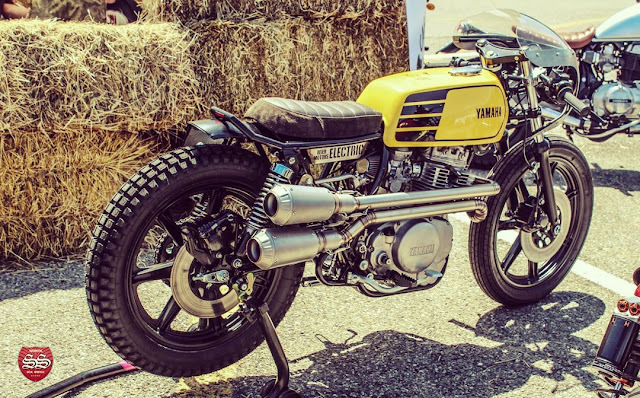 This project was started last winter when their customer approached them with the idea of restoring an old Yamaha XS400. The bike given to them was not in bad condition, but they were requested to built something special out of it. 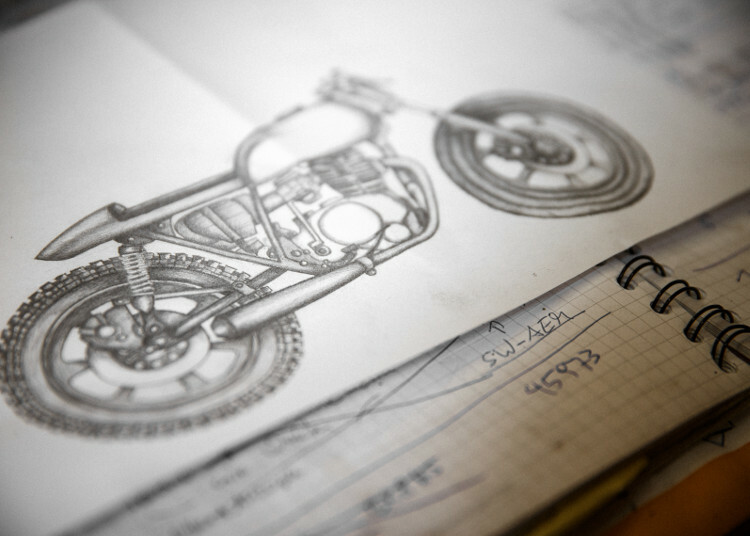 At that point, Christian (The owner of Reier Motors) started to sketch. Soon it was clear in which direction this project will evolve and their customer fully bought into the concept. Open K&N air filters with intense work on the carburetor adjustments. Complete self-made construction of front fairing including mounting points. Installment of LED lights with state of the art technology. Complete re-arrangement of cables and wires. Entire battery box moved to the rear under the seat, a special REIER MOTORS ELECTRIC BOX (available to buy separately). Change of subframe/tail including integrated headlight and new rear fender. Clip on handlebars in line with front fairing tolerance and appropriate steering angle. Licence plate holder moved to left side. Special kick-starter solution in between main frame (always on board in case battery dies, usable within a few seconds). Seat completely new out of high quality leather. After the bike was done to the point it was possible to hand it over, they all felt in love with it already a long time before. 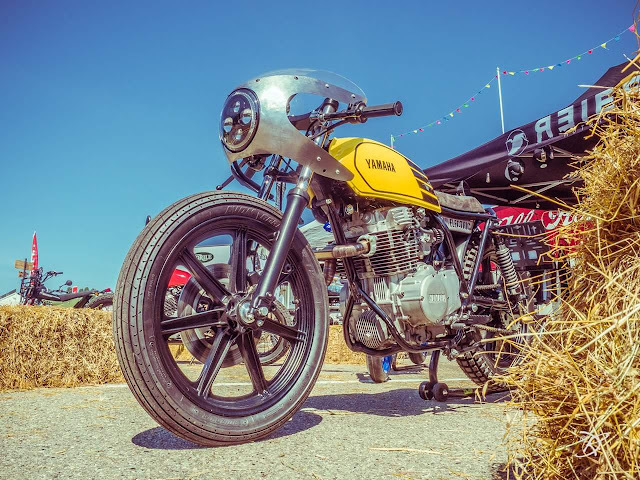 Since they were planning to go to this year’s Wheels & Waves in Biarritz, they could manage to convince the owner (actually it wasn’t convincing) to join them and take part in the Punks Peak Race. So they did. The feedback was incredible, therefore they brought the bike also to the next show, the Club of Newchurch, their home event in Austria. There, the bike was even honored as “BEST OF SHOW Professional”. 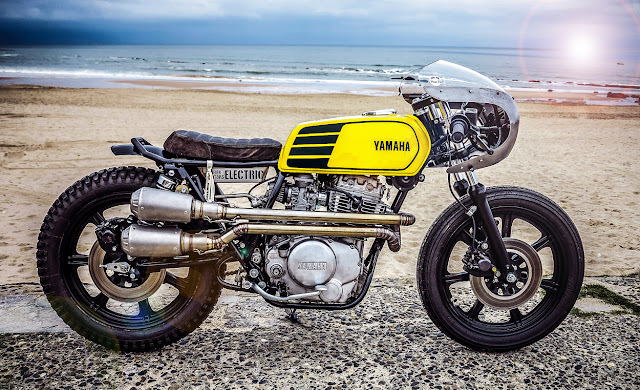 Reier Motors is based in Salzburg, Austria, they’re a small customizing and restoring garage focused on creating unique bikes across a wide range of segments and brands. Their key strength lies within restoring and customizing all kind of Japanese brands, BMWs and Ducatis with the idea to give their customers the most unique and authentic ride of their life.